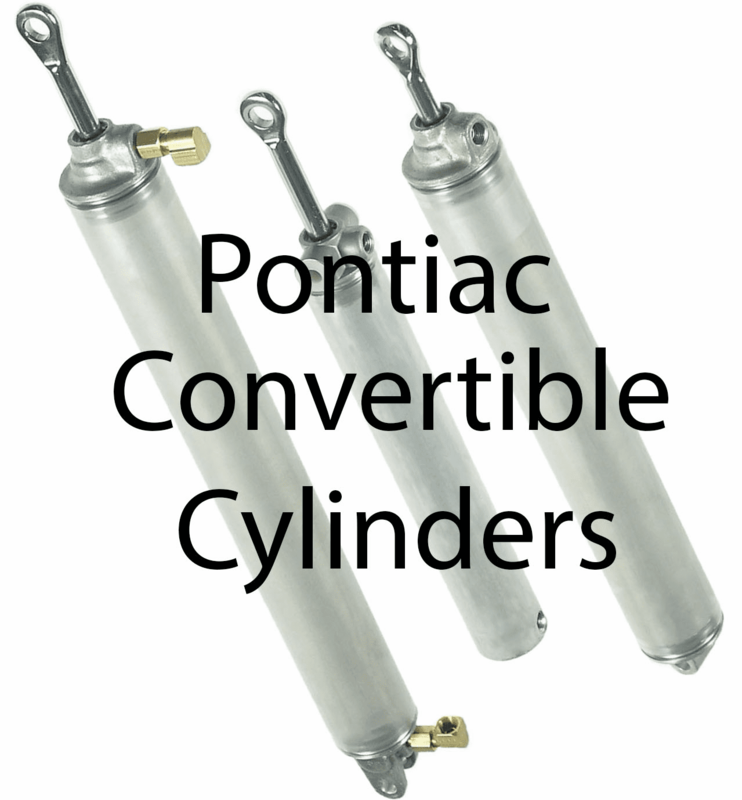 During the early 60�s all of The Big Three car makers switched to a cylinder design with the pivot point at the top of the cylinder case, allowing the lower part of the cylinder to rotate fore and aft as the top traveled (a design which is still employed today). 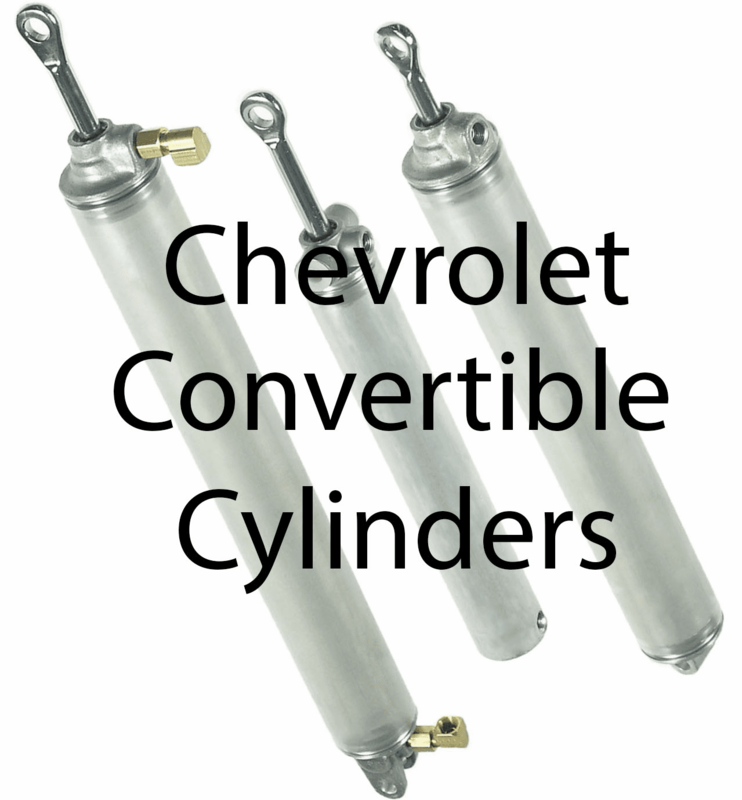 From 1970 on, these cylinders were constructed partly of plastic, Making it a nonrebuildable, throwaway part. 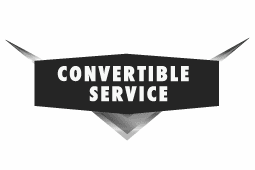 Convertible Service employs the all metal construction design of the 60�s and manufactures upper pivot lift cylinders to fit all convertibles from the 60�s right up to the present time GM, Ford, Chrysler, AMC and even Saab, Toyota, Renault &Infiniti M30 convertibles! 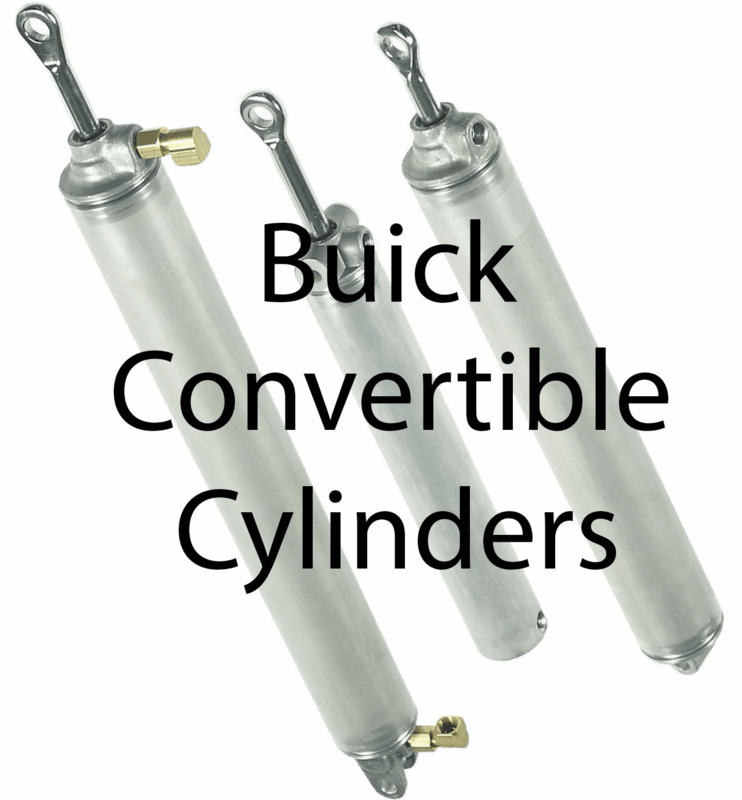 On other reproduction top cylinders, the cylinder case is made by crimping two pieces of aluminum together. 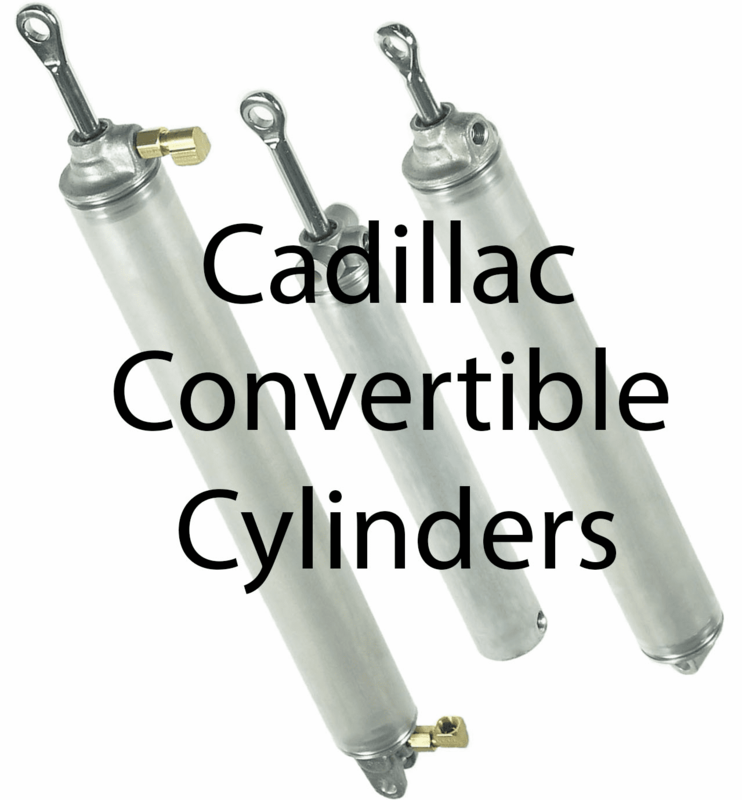 At Convertible Service the cylinders are manufactured according to the original design by forming an all metal, one piece case. This process eliminates the possibility of leaks from the lower part of the cylinder (which is a common problem with the crimped-together type). The result is �. 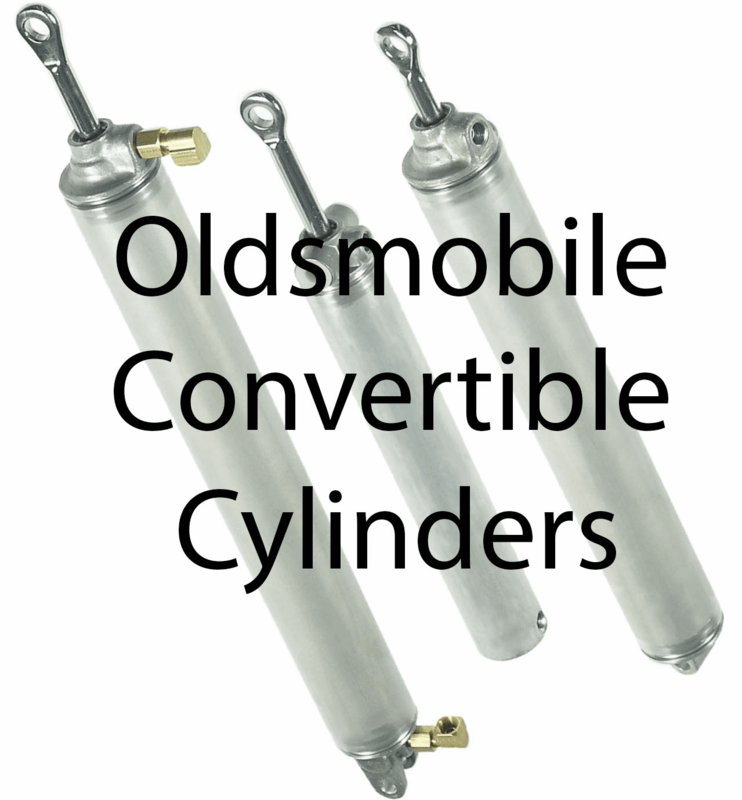 A more reliable cylinder. 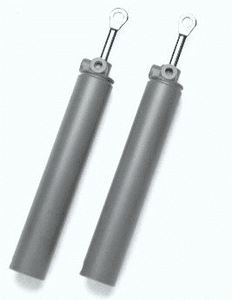 On other reproduction top pivot cylinders the ports which receive the hydraulic hoses from the pump/motor are made by screwing in pre-fab external brass fittings which protrude as much as ��s of an inch further than the originals and create clearance problems when you try to mount them in the car. Our cylinder castings are formed with the port built into the castings. They fit right into the car, just like the originals did!